Watch this on-demand webinar to learn how to run Hadoop and Spark on Docker in an enterprise deployment. Today, most applications can be “Dockerized”. 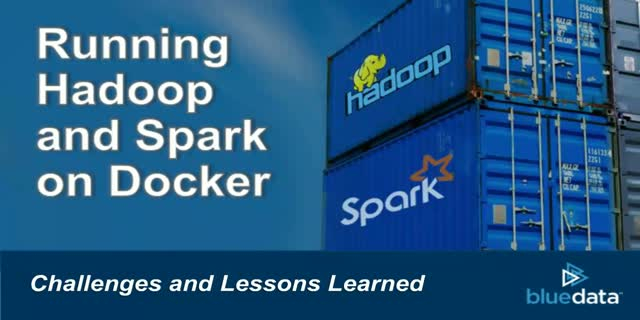 However, there are unique challenges when deploying a Big Data framework such as Spark or Hadoop on Docker containers in a large-scale production environment. Don’t miss watching this webinar on how to "Dockerize" your Big Data applications in a reliable, secure, and high-performance environment.